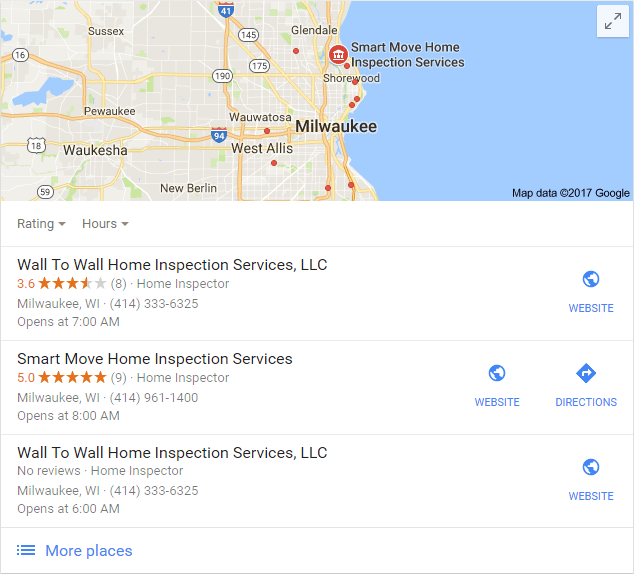 I’ve analyzed hundreds of home inspector websites, and with that, I’ve seen a lot of SEO (Search Engine Optimization) mistakes. But, there’s one tactic that I see more than any other — service area listings. Does cramming towns and zip codes into the bottom of your page actually help your search rankings? The short answer is no. Stuffing the names of dozens or hundreds of counties, cities, towns, and zip codes into your page is an outdated technique. It’s ineffective. You could even be hurting your search rankings, pushing you down into the deeper pages of Google — where no one will find you. However, there are other techniques you can use to much greater effect. Google has a vested interest in providing relevant, useful information for the topic being searched. The most effective SEO techniques revolve around providing the best, most relevant content possible, and proving it by attracting high-quality (reputable) links from around the web. However, when people start catering to search engines instead of real people, they begin running into problems. Large lists of service areas aren’t exactly what I would call user-friendly. Here’s an example; Let’s say you’re looking to buy a home in Tinton Falls, New Jersey. How easy do you think it is for someone to find “Tinton Falls” on a page that looks like this? Go ahead, try it. I promise, it’s in there. Here’s a more blatant and insidious example of service area spamming. Google refers to this, and similar techniques meant to hide text, as cloaking. That’s obviously for the search engines, not for people. 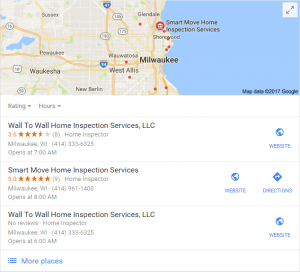 Whether you’re aiming for the first page on Google, or you legitimately want to help people see if they are within your service area, there are far better ways to go about it. Optimizing your business for search results based on your area, or the area which you service, is called local SEO. I say optimize your business because there is a lot that you can do that doesn’t directly involve your website. Use the following options as a better alternative to just listing a bunch of service areas. Claim your business on Google My Business. Choose the correct category for your business. Add a description, phone number, address, photos, and so on. Verify that all information is accurate. Get satisfied customers to post reviews on your GMB listing. Make sure your business name, address, and phone number are the same across GMB, your website, and any other directory listings such as Yellow Pages. There’s no need to list every single town in your area. A handful of areas will do the trick, and focusing only on the most profitable areas will give you the best return. If you service a large city and the surrounding area, there’s no need to list every single town and village. No one is going to look through several lines of difficult-to-read text to see if their town is included. Add pages specific to each area — but heed caution! Don’t go adding hundreds of pages to cover your entire service area (yes, I’ve seen this, too). Doing so can get you a slap on the wrist from Google (a penalty to your search ranking), for a number of reasons. Instead, only create pages for the most important areas. Do not recycle content between these pages. If you reuse the same text, but change the names, you’ll have a nasty case of duplicate content (almost the same text on multiple pages). Search engines don’t appreciate that kind of behavior. At the very least, most or all of those pages will be ignored. Instead, load these pages up with content that’s unique for each area. Sounds like a tough job, right? Here are a few simple suggestions that’ll get you a long way. Talk about inspections you’ve performed in the area. Pictures are a nice bonus. List positive reviews from clients in that area. Include other information relevant to the area, especially if it has to do with your services. Display an interactive map with your service area highlighted. Allow people to search a database of areas you service by name or zip code. Spamming service areas on your website is an ineffective SEO strategy from an older, simpler time. Now you know not to do it, and I’ve provided you with much better alternatives. Invest in doing things the right way, and see the results. Get free marketing tips and other resources delivered directly to your inbox.